States have been pushing to enter the sports betting and recreational marijuana markets in droves, but Nevada and the District of Columbia are currently the only jurisdictions where both are legal. Chris Mascaro is an experienced journalist with more than 10 years in the field at places like Newsday, SI.com, MLB.com and The Sports XChange. He's a graduate of Cornell University and Columbia's Graduate School of Journalism. 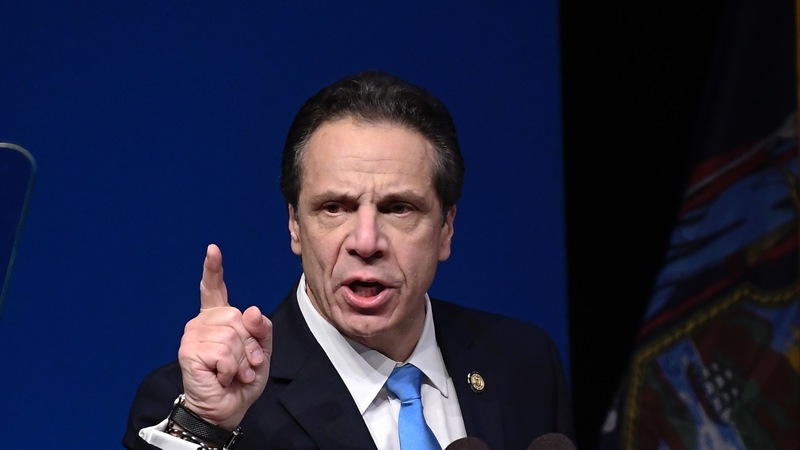 New York Governor Andrew Cuomo stated his desire for legalized sports betting and recreational marijuana Tuesday in [his State of the State address](https://www.nytimes.com/2019/01/15/nyregion/cuomo-state-address.html), but each coming with a substantial caveat. Though states have been lining up to enact the legalization of sports gaming and weed within their borders, Nevada and the District of Columbia are currently the only in jurisdictions in the U.S. where both are legal. Washington D.C. approved The Sports Wagering Lottery Amendment Act of 2018 [just last month](https://www.betchicago.com/washington-dc-lawmakers-vote-legalize-sports-betting), but there is a 30-day review period by the U.S. Senate, so bettors can not yet place wagers there. New York approved an amendment in 2013 that would allow sports betting only at four upstate casinos, and legislation in 2018 that would expand that framework to the entire state failed in a vote. While Gov. Cuomo's budget proposal includes revenue from sports betting, he emphasized, "Let’s authorize sports betting in the upstate casinos." The administration believes the New York state constitution would have to be amended in order for sports betting to expand beyond those casinos, [per USA Today](https://twitter.com/JonCampbellGAN/status/1085286143359418368?ref_src=twsrc%5Etfw%7Ctwcamp%5Etweetembed%7Ctwterm%5E1085286143359418368&ref_url=https%3A%2F%2Fwww.legalsportsreport.com%2F27641%2Fnew-york-sports-betting-cuomo-budget%2F). __MORE:__ [Exclusive BetChicago interview with NHL commissioner Gary Bettman about sports betting](https://www.betchicago.com/nhl-fanduel-deal-gary-bettman-sports-betting) The U.S. Supreme Court struck down the Professional and Amateur Sports Protection Act of 1992 (PASPA) last May, a federal law restricting state-sponsored sports betting to Nevada. Legal sportsbooks have opened in Delaware, Mississippi, New Jersey, Pennsylvania, Rhode Island and West Virginia since then, and though New Mexico hasn't passed any legislation on the matter, betting is being offered [at casinos on tribal lands](https://www.playusa.com/new-mexico-legal-sports-betting/). Close to 20 other states have introduced bills pertaining to sports betting, including Illinois, where the new governor, J.B. Pritzker, [a Democrat who was sworn in Monday](https://www.ksdk.com/article/news/politics/billionaire-businessman-jb-pritzker-sworn-in-as-new-illinois-governor/63-4f5ff417-664c-4ae5-b50f-7d51e792c1c1), ran on a platform that included legalizing sports betting and recreational marijuana. Only medical marijuana is currently legal in Illinois. Back in New York state, sports bettors living in NYC have made the short trek across the river to Meadowlands Racetrack in New Jersey, which opened last summer and is mere feet from MetLife Stadium (home of the Giants and Jets), to make wagers at [the FanDuel Sportsbook](http://playmeadowlands.com/dining/victorysportsbar.html), [including one of our own](https://www.betchicago.com/fanduel-sportsbook-first-nfl-sunday). So the allure of four upstate gaming posts may not be that great to those living in or near the City. Still, even having it at four casinos would push the train forward toward legalization throughout the state. One state assemblyman plans to introduce sports betting legislation this session, including "potentially an online element," [ESPN reported Tuesday](http://www.espn.com/chalk/story/_/id/25770943/gov-andrew-cuomo-wants-legalize-sports-betting-new-york). A research firm estimated land-based sports betting in New York could generate $532 million in annual gross gaming revenue. As for marijuana, New York is already one of 33 states where medical marijuana is legal. Cuomo, a Democrat, would like to see it be allowed recreationally but left the door open for large cities or counties to opt out of allowing weed shops in their domains.